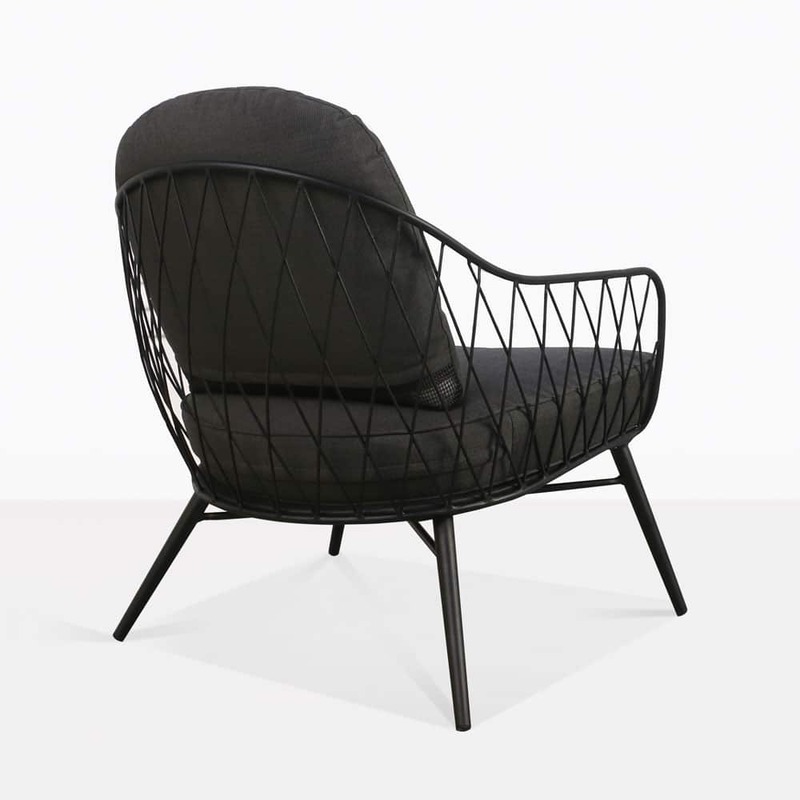 Prepare for perfect relaxation with the stunning Lincoln Outdoor Relaxing Chair, a chic and stylish piece from Design Warehouse. The Lincoln Aluminium Relaxing Chair is designed with great consideration. Sophisticated and modern, there is an applied science in the satisfying extreme comfort of this low lying Lincoln Relaxing Chair. The incredible and distinguished design of the Lincoln Chair offers up much to the imagination and suits many spaces! Pair it up with some lush teak deep seating or situate the Lincoln on its own on a porch or courtyard setting. 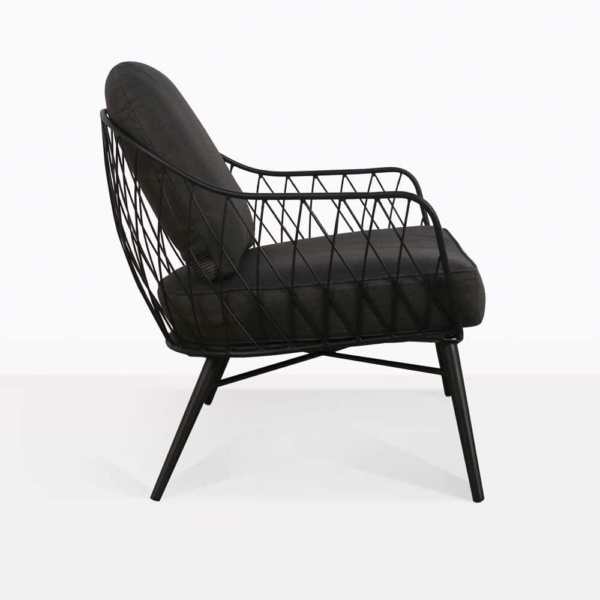 Finished with black powder coating, the Lincoln Outdoor Chair lends itself to mid century modern principles; with a curved and high back, low seat, slight criss-crossing back and base, and plush, thick cushioning that you will just melt into. The Lincoln Relaxing Chair is a must for indoors, outdoors, commercial spaces and at home. It will lift your space into one of opulence and contemporary prestige. 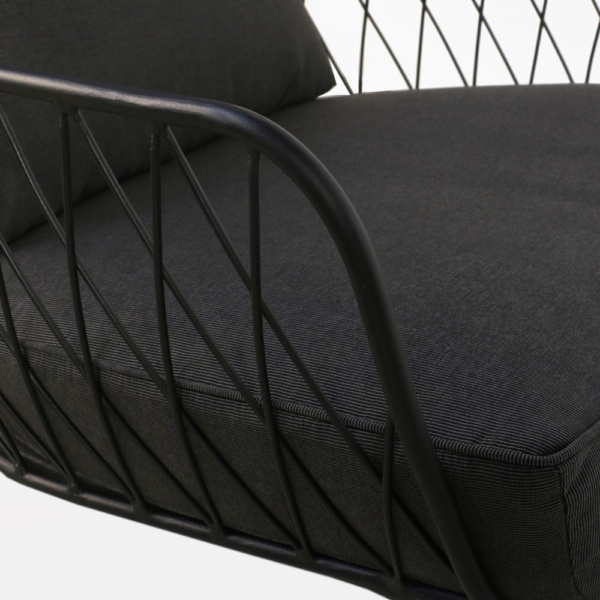 Place two of these exclusive, trendy chairs on a small balcony for utter relaxation. Situate a wee accent table in between and allow for contemplation in the sanctuary of your space. Envisage a roof deck or sweeping seaside balcony overlooking a tremendous view. Line up the Lincoln Outdoor Chairs along your space to really melt into the moment with style. Powder coated aluminium is strong, robust and attractive, it gives you the freedom to leave your furniture outdoors without worry of corrosion and deterioration, while the charcoal Sunbrella® cushions allow you to sink into comfortable luxury, in short, with minimal maintenance your Lincoln furniture will look incredible year round! Design Warehouse is the leader in outdoor furniture. From our epic range of relaxing chairs, to dining furniture, deep seating, accessories and more, we know we have everything to enable you to make an outdoor living space you will adore, and personal to you. 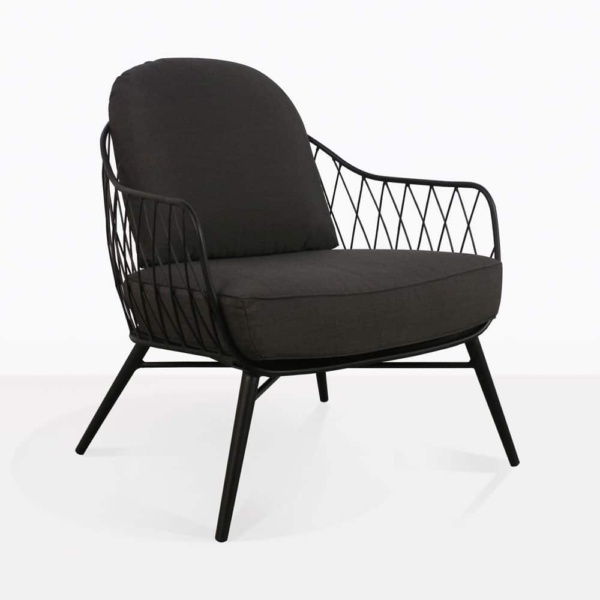 Celebrate style in your home with the Lincoln Outdoor Relaxing Chair from Design Warehouse.